Disturbed weather is everywhere. 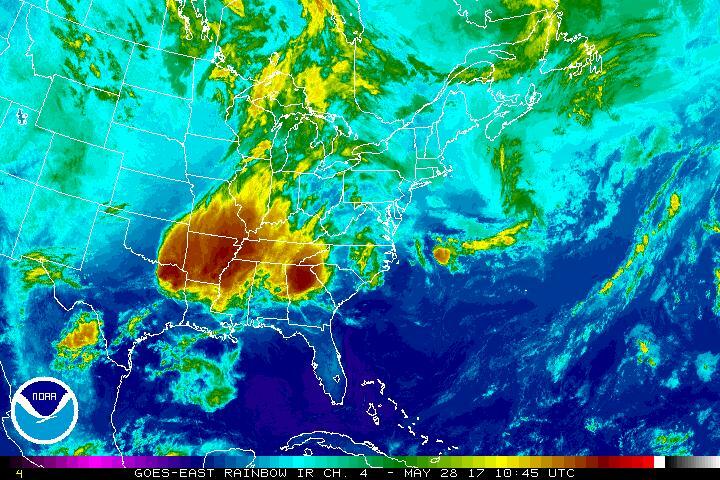 A huge storm, now affecting fourteen states across the south-central USA, has been moving eastward with damaging winds, possible tornadoes, severe lightning, hail, and heavy rains. 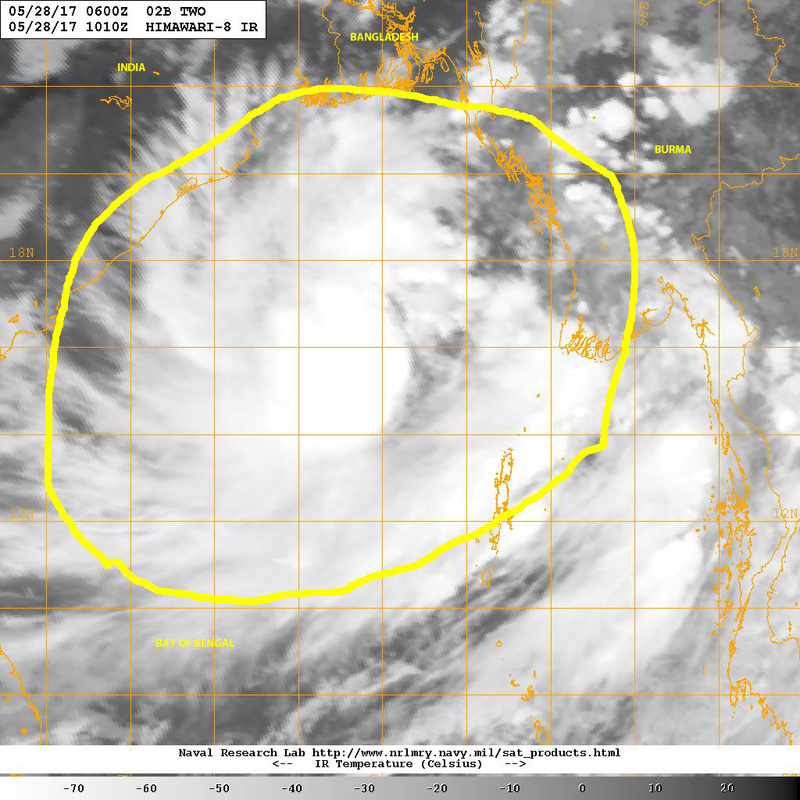 On the other side of the planet in the Bay of Bengal, a large and strengthening Tropical Storm TWO is moving generally north toward Bangladesh. Flooding is expected in the low-laying coastal regions of Bangladesh, and possibly northeastern India and northwestern Burma. 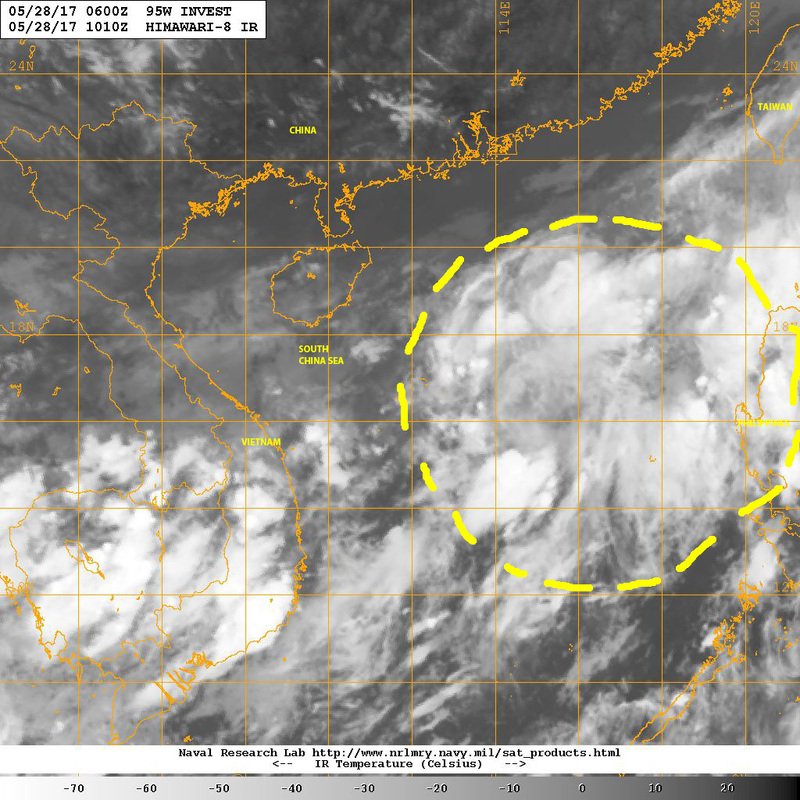 There is also a large cell of disturbed weather over the South China Sea, between the Philippines and Vietnam, which is showing some cyclonic tendencies meriting investigation and close monitoring. A large region from Southern Mexico to Panama and waters of the eastern east Pacific has been under a conglomerate of stormy weather cells, which have been causing extreme rain, severe lightning, and instances of flooding throughout the area for the past few days. This has brought much-needed rain to alleviate drought conditions in Nicaragua and other Central American countries, but at the price of damaging flash floods and winds. 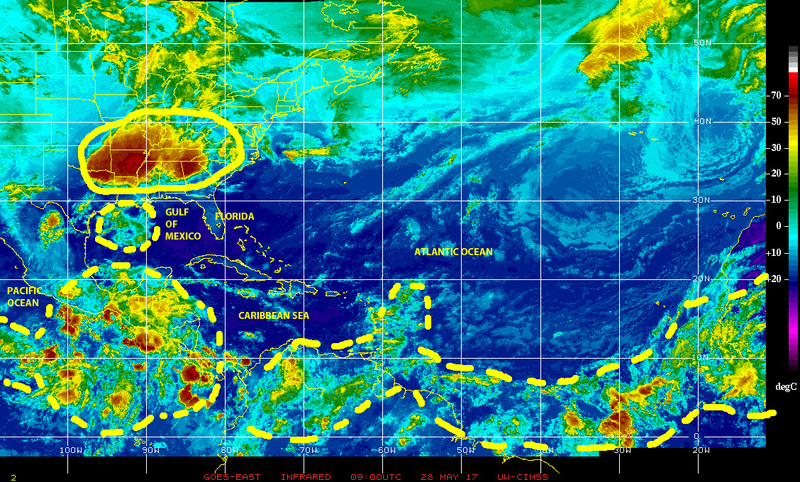 Hurricane alley just north of the equator is filling up with storms and disturbed weather cells, generated by tropical waves emerging from equatorial Africa, all the way from eastern Atlantic waters to the Caribbean. It is clear we need to be prepared and remain alert. MITIGATE! On this Saturday the 1st day of August there are two tropical cyclones and two low pressure disturbances in the Pacific Ocean. Hurricane GUILLERMO, the 7th named storm of the 2015 East Pacific hurricane season that ‘officially’ opened on 15 May, is a strengthening storm approaching the central Pacific moving in the general direction of the ‘big island’ of Hawaii. 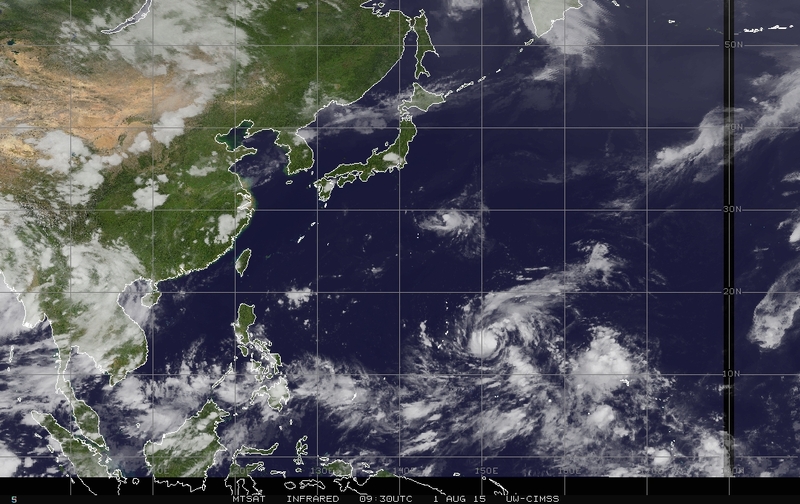 Elsewhere in the Pacific a strengthening tropical storm SOUDELOR is approaching the Philippines Sea aiming in the general direction of southern Japan. 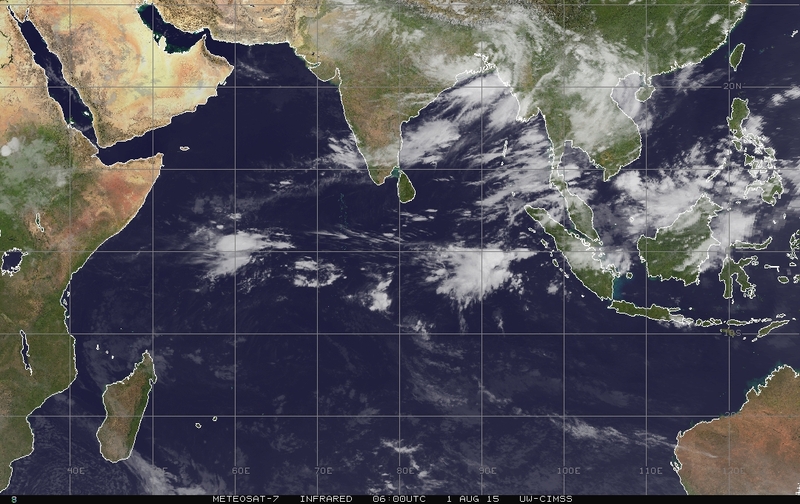 Over Bangladesh and the Bay of Bengal we are still seeing what remains of a tropical storm that recently made landfall there, which is generating copious rains over a vast region. 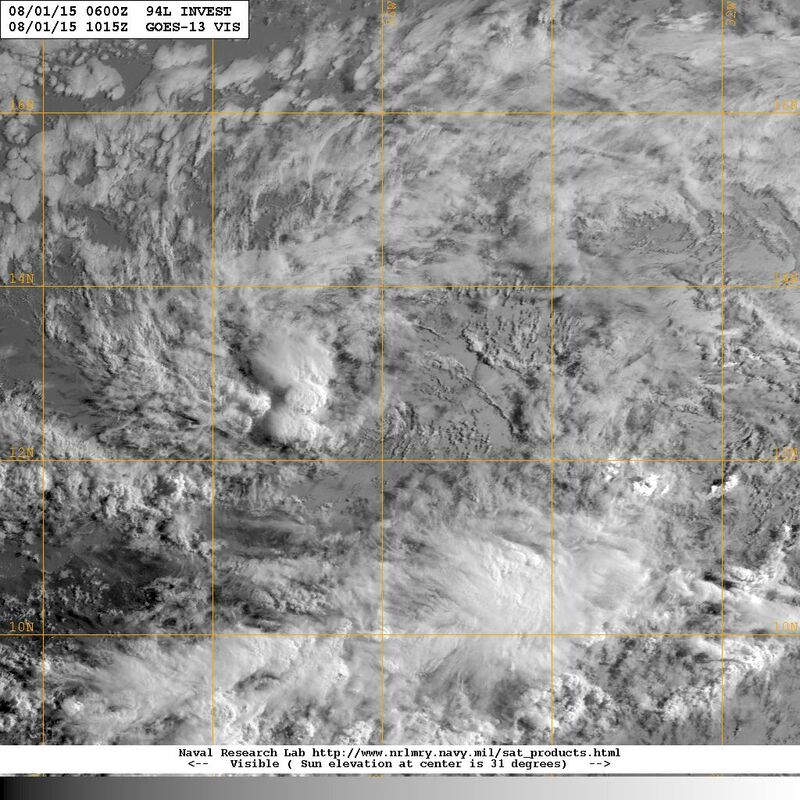 Visible light satellite image [NOAA} showing a low pressure disturbance currently moving westward along ‘hurricane alley’ in the general direction of the Windward Islands. Closer to us here in Florida, we can see a low pressure disturbance moving generally westward along ‘hurricane alley’ in the midst of a long train of large cells of disturbed weather populating the full 4000 kilometer length of the alley from the western coast of Equatorial Africa and the region south of the Cape Verde Islands all the way to near the northeastern coast of South America. This disturbance has been designated as ’94L INVEST’ and is being monitored by the National Hurricane Center (NOAA) for any signs of potential cyclonic development in what has been an otherwise rather quiet 2015 Atlantic hurricane season. Color-enhanced infrared satellite image [NOAA] of 1 August 2015 showing the entire 4000 km length of ‘Hurricane Alley’ populated by a train of tropical waves. Keep on watching. Remain alert. Be prepared. MITIGATE!